Ms. Rengifo is very excited and eager to be partners with you throughout your child’s educational journey. Ms. Rengifo is a St. John’s University graduate, holding a Bachelor of Science Degree in Education with a concentration in accounting. 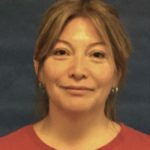 She also holds a Master’s Degree in Early Childhood Education from Colombia University Teacher’s College. Ms. Rengifo has had experience working with students at various levels from pre-school through eighth grade. Ms. Rengifo believes in giving students an opportunity to take responsibility for their own learning, to give them a chance to test out their emerging knowledge, and most importantly to help develop good habits from the very first day. She looks forward to doing everything she can to make this experience successful and happy for your child.